Anyone who knows me well enough knows how bad my time keeping is. It really annoys my boyfriend as he hates being late for things and that then stresses me out! Anyway, this is the latest I've ever posted my monthly lusting, but I actually felt lost at what to lust about this month as we are in that transitional period of fashion, where you don't know whether to wear a coat or put a lovely dress on and the sales have dominated the shops this month. So I thought I would go straight into my first autumn winter hit list, starting with the below 4 items. Like I said before we are in a transnational period with weather and fashion, so you need that light weight jacket for when it gets a little chilly in the evenings. 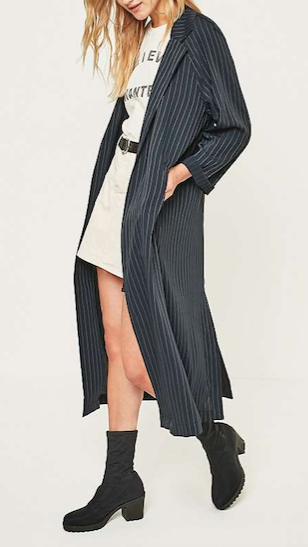 Here I have picked out four styles that could suit any occasion, one for a casual day look with the striped jacket, and another for more of a special occasion with the bright red statement piece. 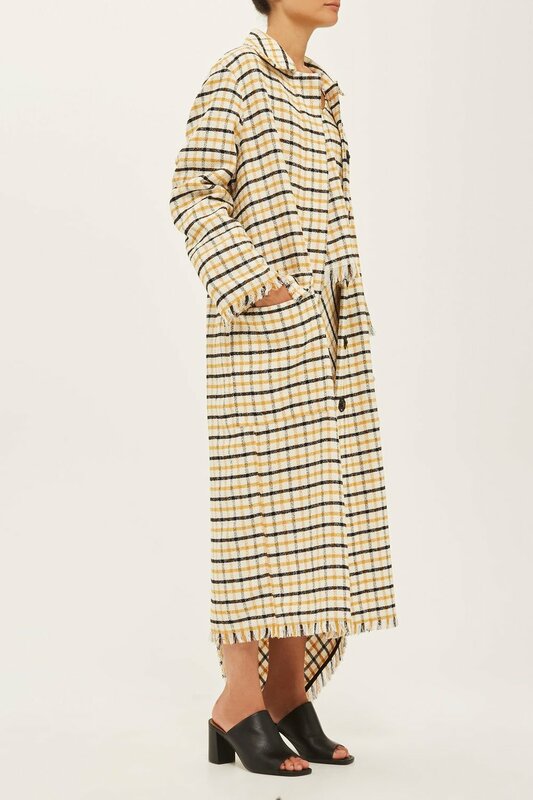 The piece that I am lusting over the most by far is this checked long duster coat by Topshop Boutique. It is all kinds of wonderful! 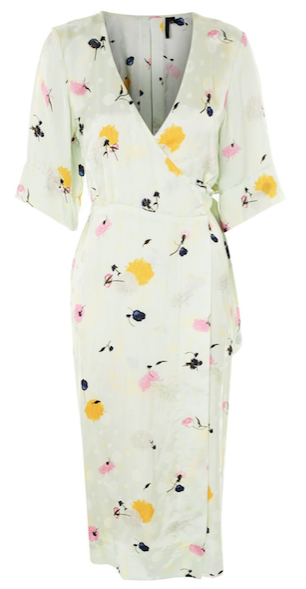 Last but by no means least is the printed midi and maxi dresses. These have been on my radar for a while but it's finding the right style for my shape. Here I've picked four styles that I feel you can wear so many different ways. You know I like to make the most of my items of clothing and that includes dresses. You should be able to wear any of these pieces on their own, with jeans or as a layering piece. Of course, I had to feature a pair of jeans! I love denim and this season I want to change up from my usual taste and add in new styles, starting with indigo denim. Not only am I loving the colour, but I really like the stiff traditional work wear fabric of the jeans. These were fashionable in the 50's and early 00's, with added features such as the contrast white stitching making them a statement pair of jeans. After spending the last four months in sandals and mules I am ready for ankle boots! I am so excited to see what the high street has on offer for this next season. Here I have picked out four that I have spied so far, two high street and two brands. 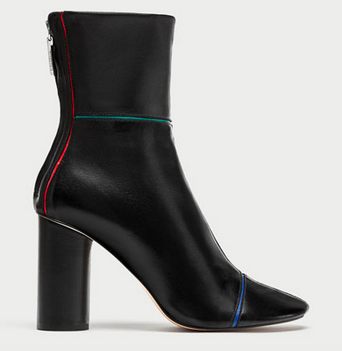 Zara and Topshop are two of my favourite places to shop for quality and affordable ankle boots. I am loving these mustard coloured suede boots and can see them being worn all through the winter with different looks. I encourage you to embrace the weird colours for winter! 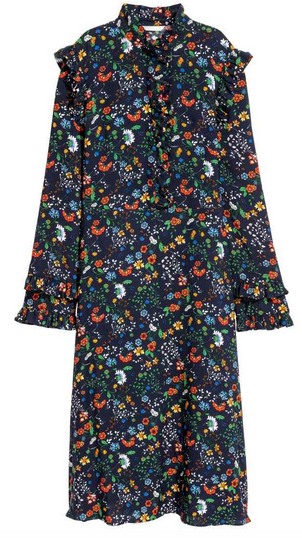 Okay, so this is my first autumn winter hit list of items I am keeping my eye out for. I would love to know your thoughts and if you like any of the pieces. Have you started to think about the next season? If you guys have any ideas on what to feature for my next inspiration list, please let me know in the comments below.